They have read the Declaration of Independence at this site on July 4 since 1777 (it was read on July 14, 1776). This year the Sharpteam was in Boston. We went on a Boston by Foot tour and thoroughly enjoyed this day celebrating freedom on the Freedom Trail. We are celebrating summer by being local tourists. We are celebrating history by learning more about it. Quiz for our history buff friends (also the way patriots were determined in the War of 1812). 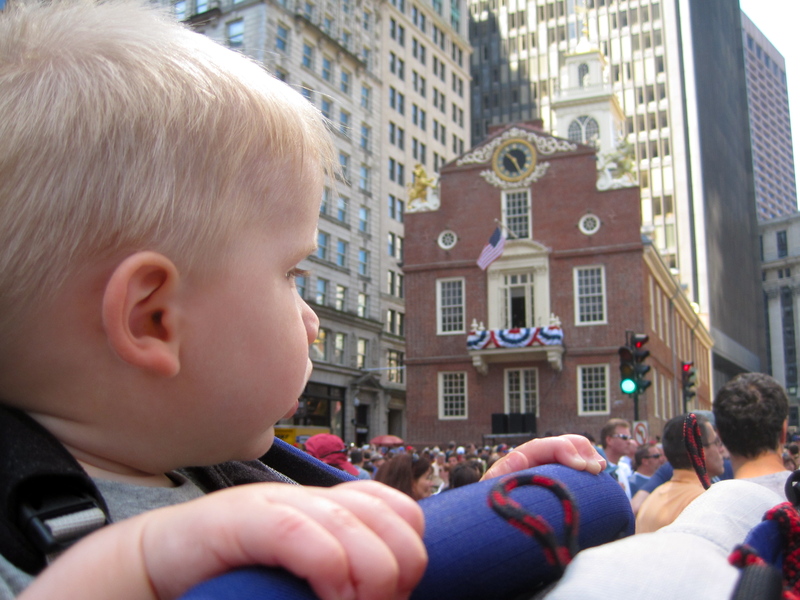 Do you know what is on top of Fanueil Hall in Boston? Love knowing more about our history, our city, and our world. Love sharing it with Cole and Andrew!